Those 33 solar panels generate about 12,000 kWh of electricity a year – way more than enough energy to power a typical American household. 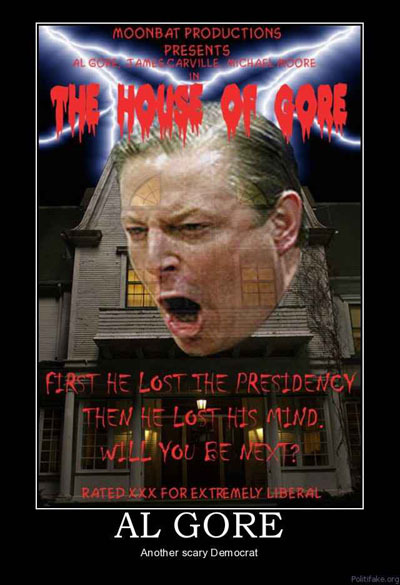 Gore is such an enormous energy hog, however, that his gigantic rooftop solar array produces just 5.7 percent of the electricity he uses in his home, or enough to power his home for a measly 21 days a year. Gore spends $22,000 per year on energy for his Nashville residence (he also owns two others), the vast majority of which is generated by the Tennessee Valley Authority’s nuclear, coal, and natural gas plants. Yet he has been brazenly lying to the media that his mansion uses 100% renewable energy. If moonbats can swallow this hypocritical blowhard’s shtick, they can convince themselves of anything whatsoever. His power bills will send chills up your spine. Via Politifake.